Hi, I'm Cali. I’m adopted! Cali was adopted February 2016! 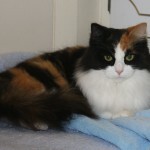 Cali is a long haired calico, already spayed and about 4 yrs old (our vet’s estimate). 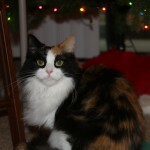 She tested negative for feline leukemia and FIV, has had her core vaccines and has been dewormed. She needs to put on a little weight, but is otherwise healthy. We’re working on getting her into a regular eating pattern of once in the morning and once in the evening. 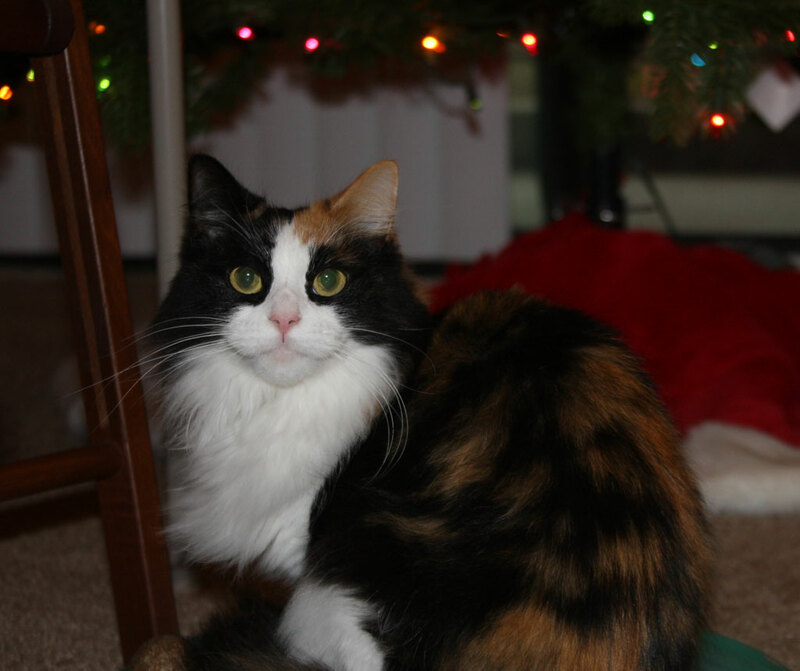 She gets along pretty well with the resident cats in her foster home. 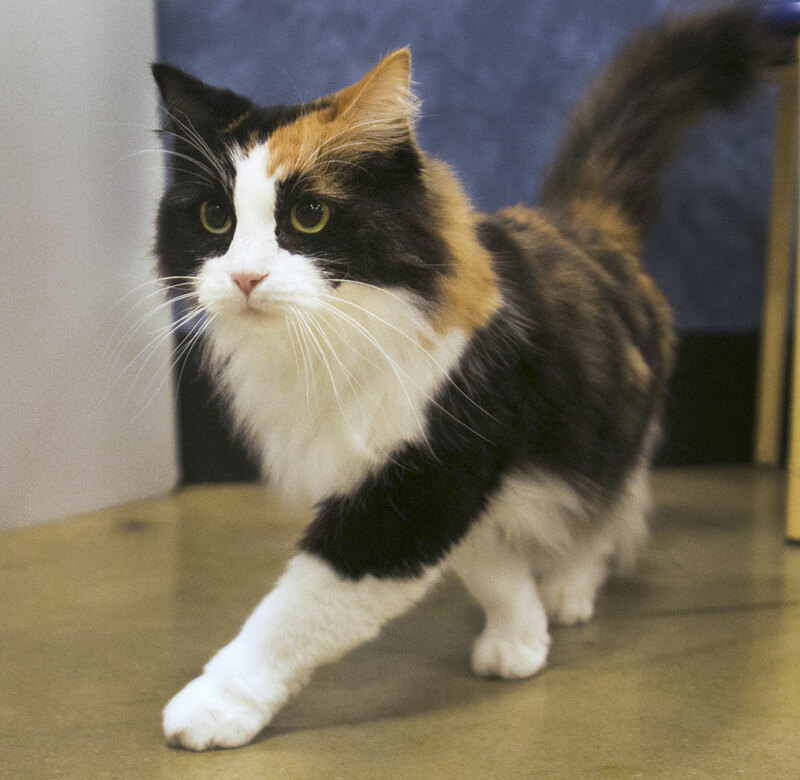 Cali is a friendly, loving,”purr bucket” of a cat. She follows her foster mom around, but is just as content to sleep in her cat bed. She curls up right next to her human on the couch, and every once in a while she’s even a lap cat. She loves chasing feather toys around and scratching the cat tree. 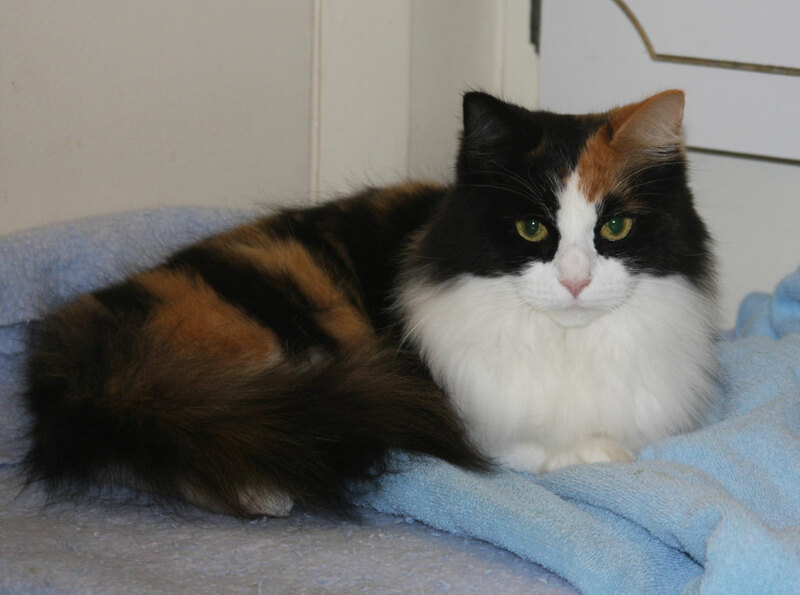 Cali has the softest, prettiest fur and she would make a great addition to any family. Is there room in your home? Good with dogs: I'm good with small dogs. If you are interested in Cali. I’m adopted!, consider letting us know by filling out a (no-obligation) adoption application. Please consult our Adoption FAQ before contacting us. Cali is expecting to attend the next adoption show, January 30th **NOTE THE DATE CHANGE** at the Bowie PetSmart, but just for the first 45 minutes or so. Please note, there is always a chance that plans may need to change at the last minute.